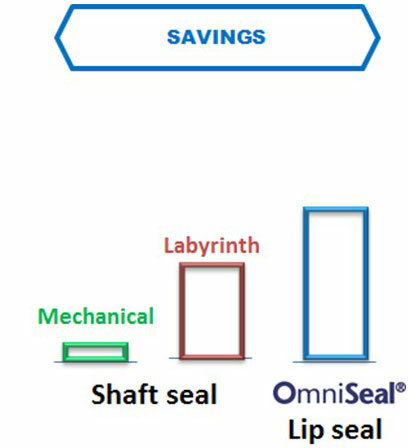 BEST Rotary Lip Seal solution in low torque and an environmental seal. Polymer material lip are typically are made up of molded and precision machined from high performance polymers as PTFE, filled PTFE composites, and other thermoplastics. 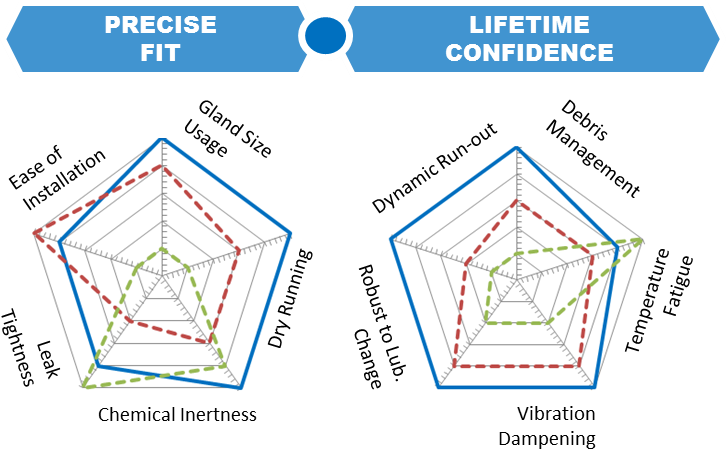 In contact with the sealing counterface, the lip design and tribology respectively define the leak rate and the wear rate. Metal (or plastic) casing is design to hold the polymeric lip material in position to make an effective contact with the sealing counterface. The material used for the casing also administers chemical compatibility and ease of installation. The given value is the recommended PV value the sealing material can withstand under standard conditions of use.